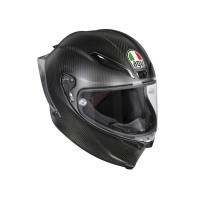 Looking for high-quality AGV helmets for sale at great, affordable prices? Motowheels stocks a range of closeout AGV product, apparel, and helmets so you can get what you want without going over budget. Keep safety first and complete your look when you purchase anyone of our discount AGV motorcycle helmets. AGV has been leading in helmet design since its foundation using innovative styles and materials to ensure better safety. They’re expertise means helmets with better aerodynamics, comfort, and safety and has made them one of the most popular brands in the business. Shop for discount AGV motorcycle helmets here or contact our professional team to get any of your questions answers. We offer helmets in racing and street styles along with carbon fiber options. We ensure that all these products meet Motowheels standards, so get your helmet today! Please allow up to 7 days for shipping!